While they’re foundational to improving your social skills, it’s almost impossible to find proper interpersonal or empathy skills training. The unfortunate lack of structured training is slowly filling. In fact, we’re working on interpersonal and empathy training courses here that addresses personal, organizational and business-class needs. There are solutions. I recommend visiting our Q&A section and checking through it for answers as well as taking a look at these three books. You may be amazed by how much of your success in communication is related to your ability to understand and appreciate other people. Most of us start in the mindset of assuming that we need to use more powerful words, have a fantastic set of conversation topics, or be able to speak beautifully. Dale Carnegie didn’t cover any of that. 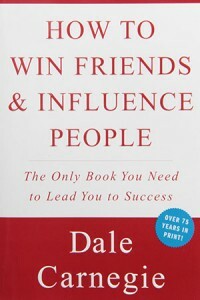 How to Win Friends & Influence People opens windows into the minds of others. Getting the best out of a conversation, he says, isn’t about forcing your ideas on someone else. It’s making them feel like it’s a great idea for them. Despite his book being originally published in 1936 (!!! ), it’s always the first one I recommend. You can grab it on Amazon (I’m not an affiliate). 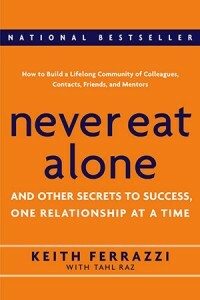 Keith Ferrazzi’s book, Never Eat Alone, was published more recently in 2005. Keith lives a very urban life, and his ability to spread and leverage his influence is breathtaking. If you’re interested in learning about how the best of the best build and leverage relationships–professional and familiar–this is the best book for you to read. I recommend picking it up right after you set down Carnegie’s book. 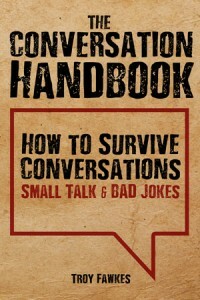 You can get this book on Amazon as well. The Conversation Handbook is an answer to the knowledge gap between How to Win Friends & Influence People and modern day society. How do you know if you’re screwing up in conversation? How do you make an every day conversation enjoyable? Do you have to tell jokes to be funny? How does this whole communication thing work!? If you like the ideas in the previous two books but now want to learn how to use them to improve your own experiences with friends, family, loved ones and in business, I’d recommend grabbing this book. Eunoia is the social skills company for normal folks. We give you the tools to make new friends, improve your conversation skills, understand social dynamics, and further your career. © 2015 Eunoia. All rights reserved.